A distinctive French silver bistro mirror with a very rare rippled frame and original, slightly patinated mercury glass plate. 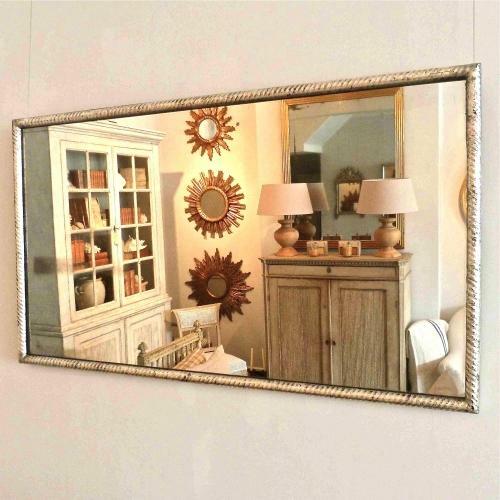 This mirror can be hung landscape, or portrait. Circa 1840.